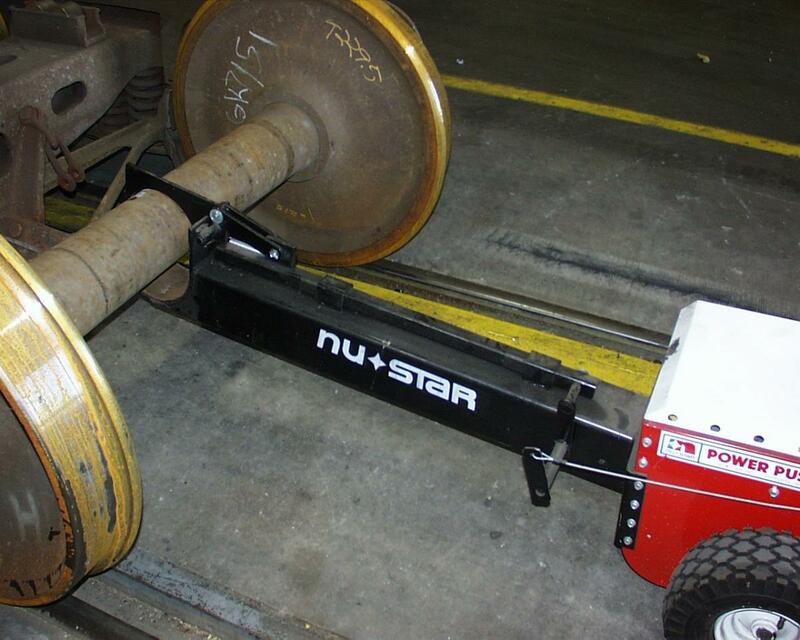 Nu-Star’s Power Pusher line of electric tugs are a safe, cost effective way to move heavy railcars. 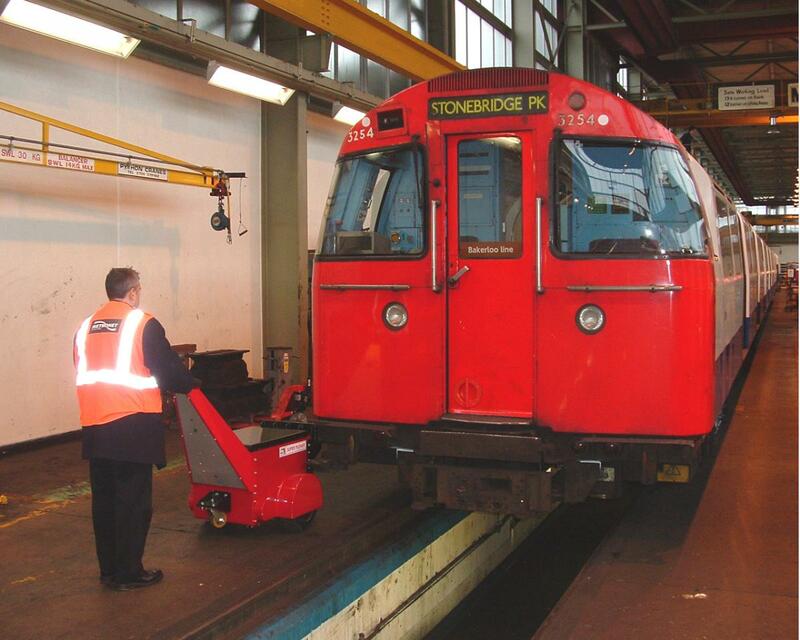 There are several models available for moving rolling stock from a ¼ ton to 225 tons (500 lbs. to 450,000 lbs.). Power Pusher’s Rail Mover ™ industrial electric tugs enable a single person to safely move 45 to 225 tons reducing the challenge of moving massive railcars. The flexible movers operate on or off the rails for increased dexterity and efficiency allowing for easy maintenance of railcars. Remote control operation is available as infrared or radio control for effortless maneuvering. Powered hitch connects and disconnects to rail cars via remote control for easy contact and performance. Work with design engineers to customize the rolling stock mover to your company’s unique needs. 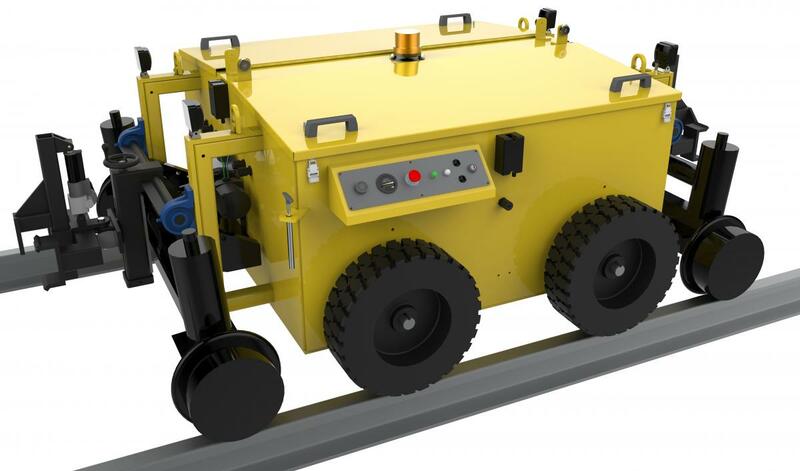 The Super Power Pusher™ has the push/pull capacity necessary to overcome extremely heavy or high rolling resistance loads, delivering the ability to maneuver enormous railcars. Featuring a low-maintenance design and a heavy-duty construction for extreme durability, Super Power Pusher is capable of mobilizing loads reaching up to 250,000 pounds. Plus, with its wide range of custom, modular attachments, this device is as flexible as the loads it transports. Power Pusher’s Railroad Attachment™ makes pulling trucks out from under railcars a breeze. The connection is positive locking and also lined with plastic to eliminate steel on steel contact while ensuring the truck doesn’t slip away. 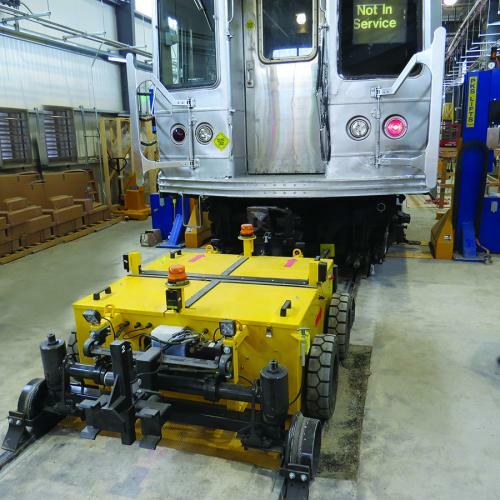 The Power Pusher Railroad Attachment not only eliminates the need to go under the car body but it also increases productivity by reducing strain-related injuries. Several length options are available to remove the hardest to reach trucks.